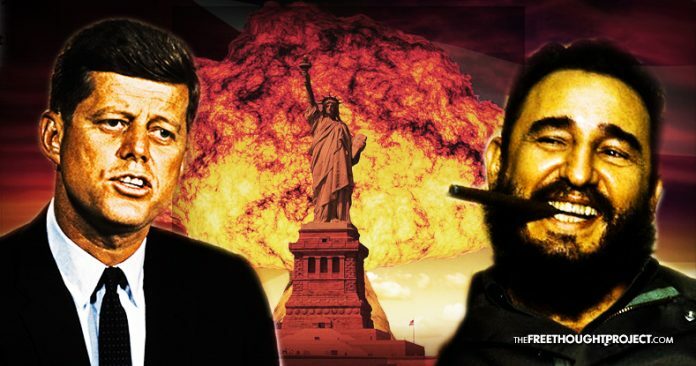 The U.S. government’s last-minute announcement that President Trump has chosen to only release some of the remaining classified documents on the assassination of former President John F. Kennedy, has raised the question of what the government is leaving out, and why. Two of the most notable indications can be found in the latest trove of documents that was released Thursday night. One document detailed the deposition of former CIA Director Richard Helms, who was “called for examination by Counsel for Commission on CIA Activities” on April 23, 1975. 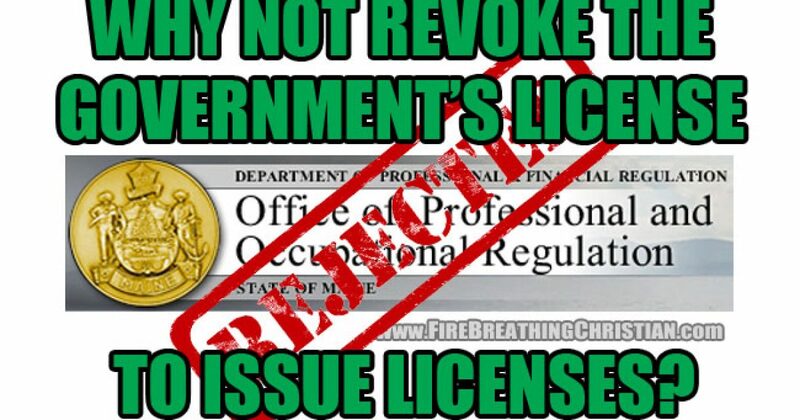 The document ends with a crucial question from commission member David Belin. “I believe so,” Helms replied. 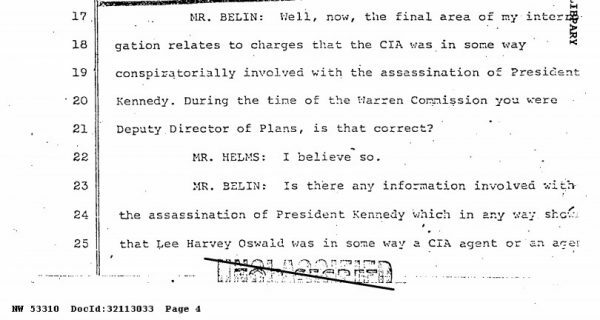 “Is there any information involved with the assassination of President Kennedy, which in any way shows that Lee Harvey Oswald was in some way a CIA agent…” Belin asked. The released documents end at this point, failing to answer one of the most asked questions in the entire JFK conspiracy. 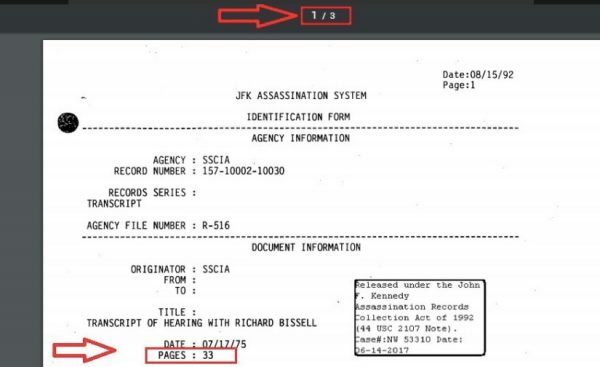 While the newly released documents indicate that the FBI had contact with suspect Lee Harvey Oswald before the shooting that killed Kennedy, this particular document does not include Helms’ answer on whether Oswald had any ties to the CIA. This raises questions about what was included in Helms’ answer that would have made the government keep it redacted for “national security” purposes. In one document labeled “Top Secret,” the identification form claims that it includes a 33-page transcript from a hearing on July 17, 1975, with a testimony from Richard Bissell. The former CIA agent was appointed as the CIA’s Deputy Director of Plans in 1958, which reportedly gave him control over half of the CIA’s budget, and over the CIA’s Black Operations. Bissell’s chief focus was a plan to overthrow Cuba’s Fidel Castro. The opening page of the document claims the transcript covers topics such as the attempt to overthrow Castro with the failed Bay of Pigs invasion; former CIA Director Allen Dulles and former President Eisenhower; the overthrow of Dominican Republic President Rafael Trujillo; the ZR/Rifle Project and CIA agent Arnold Silver; former CIA Director John A. McCone; Mafia boss Sam Giancana; CIA and FBI recruit Robert Maheu; and the Department of Justice. The transcript of Bissell’s responses to questions on any of the topics listed above would be incredibly telling regarding the inner workings of the CIA and the events that led up to, and occurred after the assassination of President Kennedy. However, the document that was released consists of 3 pages, and only 1 page contains text from the transcript. The only page of text contains questions for Bissell such as “Now, Mr. Bissell, we went over the notes in the other room, didn’t we?” to which Bissell responded, “Correct.” The topic of the page appears to be on the actions of Bill Harvey, a CIA agent who played a crucial role in Operation Mongoose, the agency’s attempt to overthrow Castro after the failed Bay of Pigs invasion. The document ends there, leaving the public to wonder where the other 30 pages of the transcript are, why they were not released, and if they will ever be released in the future. 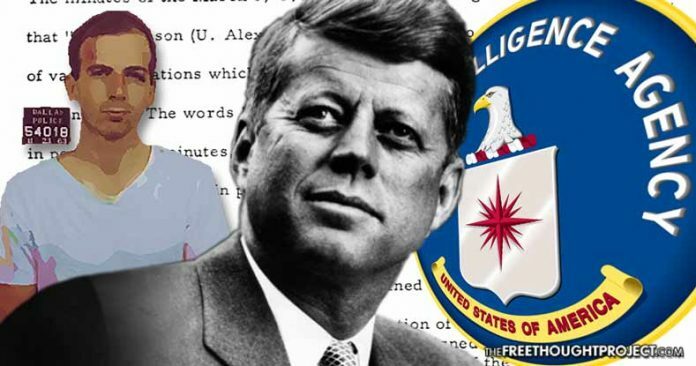 While the documents do not contain crucial answers to questions about the assassination of President Kennedy, they do include several ominous revelations about the CIA, showing that the agency openly funded terrorism and worked with the mafia to carry out various assassinations. WikiLeaks has offered a $100,000 reward for the full release of the documents.